Consortium of for-profit and not-for-profit entities. Kaiser Permanente (/ˈkaɪzər pɜːrməˈnɛnteɪ/; KP) is an American integrated managed care consortium, based in Oakland, California, United States, founded in 1945 by industrialist Henry J. Kaiser and physician Sidney Garfield. Kaiser Permanente is made up of three distinct but interdependent groups of entities: the Kaiser Foundation Health Plan, Inc. (KFHP) and its regional operating subsidiaries; Kaiser Foundation Hospitals; and the regional Permanente Medical Groups. As of 2017, Kaiser Permanente operates in eight states (Hawaii, Washington, Oregon, California, Colorado, Maryland, Virginia, Georgia) and the District of Columbia, and is the largest managed care organization in the United States. As of December 31, 2018 Kaiser Permanente had 12.2 million health plan members, 217,415 employees, 22,914 physicians, 59,127 nurses, 39 medical centers, and 690 medical facilities. As of December 31, 2018, the non-profit Kaiser Foundation Health Plan and Kaiser Foundation Hospitals entities reported a combined $2.5 billion in net income on $79.7 billion in operating revenues. Each Permanente Medical Group operates as a separate for-profit partnership or professional corporation in its individual territory, and while none publicly reports its financial results, each is primarily funded by reimbursements from its respective regional Kaiser Foundation Health Plan entity. KFHP is one of the largest not-for-profit organizations in the United States. KP's quality of care has been highly rated and attributed to a strong emphasis on preventive care, its doctors being salaried rather than paid on a fee-for-service basis, and an attempt to minimize the time patients spend in high-cost hospitals by carefully planning their stay. 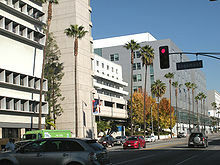 However, Kaiser has had disputes with its employees' unions, repeatedly faced civil and criminal charges for falsification of records and patient dumping, faced action by regulators over the quality of care it provided, especially to patients with mental health issues, and has faced criticism from activists and action from regulators over the size of its cash reserves. Kaiser Permanente provides care throughout eight regions in the United States. Two or three (four, in the case of California) distinct but interdependent legal entities form the Kaiser system within each region. This structure was adopted by Kaiser Permanente physicians and leaders in 1955. Each entity of Kaiser Permanente has its own management and governance structure, although all of the structures are interdependent and cooperative to a great extent. There are multiple affiliated non-profits registered with the U.S. Internal Revenue Service. According to Form 990 governance questions, Kaiser Foundation Hospitals and Kaiser Foundation Health Plan do not have members with the power to appoint or elect board members, meaning that the board itself nominates and appoints new members. Chairman and CEO George Halvorson retired in December 2013, after serving since 2002. On November 5, 2012, the board of directors announced that Bernard J. Tyson, Kaiser's president and chief operating officer for the last two years, would replace Halvorson — the first time an African American was appointed to that position. Permanente Medical Groups are physician-owned organizations, which provide and arrange for medical care for Kaiser Foundation Health Plan members in each respective region. The medical groups are for-profit partnerships or professional corporations and receive nearly all of their funding from Kaiser Foundation Health Plans. The first medical group, The Permanente Medical Group (TPMG), formed in 1948 in Northern California. Permanente physicians become stockholders in TPMG after three years at the company. In addition, Kaiser Foundation Hospitals operates medical centers in California, Oregon, Washington and Hawaii, and outpatient facilities in the remaining Kaiser Permanente regions. The hospital foundations are not-for-profit and rely on the Kaiser Foundation Health Plans for funding. They also provide infrastructure and facilities that benefit the for-profit medical groups. Various legal entities serve the areas of the US where Kaiser operates: California (the largest two), Colorado, Georgia, Hawaii, mid-Atlantic, Pacific Northwest, and Washington. However, Garfield won over two Industrial Indemnity executives, Harold Hatch and Alonzo B. Ordway. It was Hatch who proposed to Garfield the specific solution that would lead to the creation of Kaiser Permanente: Industrial Indemnity would prepay 17.5% of premiums, or $1.50 per worker per month, to cover work-related injuries, while the workers would each contribute five cents per day to cover non-work-related injuries. Later, Garfield also credited Ordway with coming up with the general idea of prepayment for industrial healthcare, and explained that he did not know much at the time about other similar health plans except for the Ross-Loos Medical Group. In July, the Permanente Foundation formed to operate Northern California hospitals that would be linked to the outpatient health plans, followed shortly thereafter by the creation of Northern Permanente Foundation for Oregon and Washington and Southern Permanente Foundation for California. 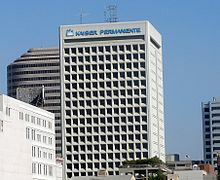 The name Permanente came from Permanente Creek, which flowed past Henry Kaiser's Kaiser Permanente Cement Plant on Black Mountain in Cupertino, California. Kaiser's first wife, Bess Fosburgh, liked the name. 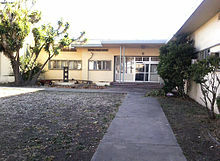 An abandoned Oakland facility was modernized as the 170-bed Permanente Hospital opened on August 1, 1942. Three weeks later, the 71-bed Richmond Field Hospital opened. Six first aid stations were set up in the shipyards to treat industrial accidents and minor illness. Each first aid station had an ambulance ready to rush patients to the surgical field hospital if required. Stabilized patients could be moved to the larger hospital for recuperative care. The Northern Permanente Hospital opened two weeks later to serve workers at the Kaiser shipyard in Vancouver, Washington. Shipyard workers paid seven cents per day for comprehensive health care coverage; and within a year the shipyard health plan employed sixty physicians with salaries between $450 and $1,000 per month. These physicians established California Physicians Service to offer similar health coverage to the families of shipyard workers. In 1944, Kaiser decided to continue the program after the war and to open it up to the general public. Meanwhile, during the war years, the American Medical Association (AMA) (which opposed managed care organizations from their very beginning) tried to defuse demand for managed care by promoting the rapid expansion of the Blue Cross and Blue Shield preferred provider organization networks. The end of World War II brought about a huge plunge in Kaiser Permanente membership; for example, 50,000 workers had left the Northern California yards by July 1945. Membership bottomed out at 17,000 for the entire system but then surged back to 26,000 within six months as Garfield aggressively marketed his plan to the public. Sidney Garfield & Associates had been a sole proprietorship, but in 1948, it was reorganized into a partnership, Permanente Medical Group. Keene was an experienced Permanente physician whom Garfield had personally hired in 1946. During 1953 he had been trying to get a job at U.S. Steel, but on the morning of December 5, 1953, with internal tensions worsening day by day, Garfield met with Keene at the Mark Hopkins Hotel in San Francisco and asked him to turn around the organization. It took Keene 15 years to realize that Kaiser had forced Garfield to ask Keene to become his replacement. Due to the chaos on the board, Keene at first took control with the vague title of Executive Associate, but it soon became clear to everyone that he was actually in charge and Garfield was to become a lobbyist and "ambassador" for the HMO concept. While Keene and Trefethen struggled to fix the damage from Kaiser's micromanagement and Garfield's ineffectual management, Henry Kaiser moved to Oahu in 1956 and insisted on expanding Kaiser Permanente into Hawaii in 1958. He quickly ruined what should have been a simple project, and only a last-minute intervention by Keene and Trefethen in August 1960 prevented the total disintegration of the Hawaii organization. By that year, Kaiser membership had grown to 808,000. Having overseen Kaiser Permanente's successful transformation from Henry Kaiser's healthcare experiment into a large-scale self-sustaining enterprise, Keene retired in 1975. By 1976, membership reached three million. In 1977, all six of Kaiser Permanente's regions had become federally qualified health maintenance organizations. Historians [who?] now believe then-President Richard Nixon specifically had Kaiser Permanente in mind when he signed the Health Maintenance Organization Act of 1973, as the organization was mentioned in an Oval Office discussion of the Act, where John Ehrlichman characterized Kaiser's philosophy thus: "All the incentives are toward less medical care, because the less care they give them, the more money they make." In 1980, Kaiser acquired a non-profit group practice to create its Mid-Atlantic region, encompassing the District of Columbia, Maryland, and Virginia. In 1985, Kaiser Permanente expanded to Georgia. Elsewhere, Kaiser Permanente did not do as well, and its geographic footprint changed significantly in the 1990s. The organization spun off or closed outposts in Texas, North Carolina, and the Northeast. In 1998, Kaiser Permanente sold its Texas operations, where reported problems had become so severe that the organization directed its lawyers to attempt to block the release of a Texas Department of Insurance report. This prompted the state attorney general to threaten to revoke the organization's license. Kaiser Permanente closed health plans in Charlotte and Raleigh-Durham in North Carolina four years later. The organization also sold its unprofitable Northeast division in 2000. The Ohio division was sold to Catholic Health Partners in 2013. In 1995, Kaiser Permanente celebrated its fiftieth anniversary as a public health plan. Two years later, national membership reached nine million. In 1997, the organization established an agreement with the AFL-CIO to explore a new approach to the relationship between management and labor, known as the Labor Management Partnership. Going into the new millennium, competition in the managed care market increased dramatically, raising new concerns. The Southern California Permanente Medical Group saw declining rates of new members as other managed care groups, notably DaVita HealthCare Partners, flourished. In 2002, Kaiser Permanente abandoned its attempt to build its own clinical information system with IBM, writing-off some $452 million in software assets. This information technology failure led to major changes in the organization's approach to digital records. Under George Halvorson's direction, Kaiser looked closely at two medical software vendors, Cerner and Epic Systems, ultimately selecting Epic as the primary vendor for a new system, branded KP HealthConnect. Although Kaiser's approach shifted to "buy, not build," the project was unprecedented for a civilian system in size and scope. Deployed across all eight regions over six years and at a cost of more than $6 billion, by 2010, it was the largest civilian electronic medical record system, serving more than 8.6 million Kaiser Permanente members, implemented at a cost exceeding a half million dollars per physician. Early in the 21st century the NHS and UK Department of Health became impressed with some aspects of the Kaiser operation, and initiated a series of studies involving several healthcare organizations in England. Visits occurred and suggestions of adopting some KP policies are currently active. The management of hospital bed-occupancy by KP, by means of integrated management in and out of hospital and monitoring progress against care pathways has given rise to trials of similar techniques in eight areas of the UK. In the California Healthcare Quality Report Card 2013 Edition, Kaiser Permanente's Northern California and Southern California regions, KP received four out of four possible stars in Meeting National Standards of Care. KP North and South also received three out of four stars in Members Rate Their HMO. KP's performance has been attributed to three practices: First, KP places a strong emphasis on preventive care, reducing costs later on. Second, its doctors are salaried rather than paid per service, which removes the main incentive for doctors to perform unnecessary procedures. Thirdly, KP attempts to minimize the time patients spend in high-cost hospitals by carefully planning their stay and by shifting care to outpatient clinics. This practice results in lower costs per member, cost savings for KP and greater doctor attention to patients. A comparison to the UK's National Health Service found that patients spend 2–5 times as much time in NHS hospitals as compared to KP hospitals. In June 2013, the California Department of Managed Health Care (DMHC) levied a $4 million fine, the second largest in the agency's history, against Kaiser for not providing adequate mental health care to its patients. Alleged violations of California's timely access laws included failures to accurately track wait times and track doctor availability amid evidence of inconsistent electronic and paper records. It was also found by the DMHC that patients received written materials circulated by Kaiser dissuading them from seeking care, a violation of state and federal laws. DMHC also issued a cease and desist order for Kaiser to end the practices. DMHC conducted a follow up investigation which published in April 2015. The report found Kaiser had put systems in place to better track how patients were being cared for, but still had not addressed problems with actually providing mental health care that complied with state and federal laws. Kaiser's challenges on this front were exacerbated by a long, unresolved labor dispute with the union representing therapists. In 2006 Kaiser settled five cases for alleged patient dumping—the delivery of homeless hospitalized patients to other agencies or organizations in order to avoid expensive medical care—between 2002 and 2005. Los Angeles city officials had filed civil and criminal legal action against Kaiser Permanente for patient dumping, which was the first action of its kind that the city had taken. The city's decision to charge Kaiser Permanente reportedly was influenced by security camera footage, allegedly showing a 63-year-old patient, dressed in hospital gown and slippers, wandering toward a mission on Skid Row (this footage was prominently featured in the Michael Moore 2007 documentary Sicko). At the time that the complaint was filed, city officials said that 10 other hospitals were under investigation for similar issues. Kaiser settled the case, paying $5,000 in civil penalties and agreeing to spend $500,000 on services for the homeless. During that same period, the Department of Health and Human Services' Office of the Inspector General settled 102 cases against U.S. hospitals which resulted in a monetary payment to the agency. While it was in operation, the Kaiser program had a 100% survival rate, which is better than other transplant centers. However, patients who needed a kidney were less likely to be offered one. Northern California Kaiser performed 56 transplants in 2005, and twice that many patients died while waiting for a kidney. At other California transplant centers, more than twice as many people received kidneys than died during the same period. Unlike other centers, the Kaiser program did not perform riskier transplants or use donated organs from elderly or other higher-risk people, which have worse outcomes. Northern California Kaiser closed the kidney transplant program in May 2006. As before, Northern California Kaiser now pays for pre-transplant care and transplants at other hospitals. This change affected approximately 2,000 patients. Kaiser has created and operates a voluntary biobank of donated blood samples from members along with their medical record and the responses to a lifestyle and health survey. As of November 2018, the Kaiser Permanente Research Bank had over 300,000 samples, with a goal of 500,000. De-identified data is shared with both Kaiser researchers and researchers from other institutions. Watchdogs have accused Kaiser of abusing the power imbalance inherent in the arbitration system. Kaiser engages in many cases whereas a customer will usually engage in just one and Kaiser can reject any arbitrator unilaterally, thus they can select company-friendly arbitrators over those that rule in favor of customers. As a large organization, Kaiser can also afford to spend much more on lawyers and orators than the customer, giving them more advantages. 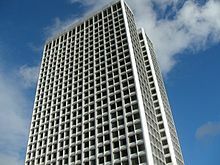 In response to criticisms, Kaiser established an Office of Independent Administrators (OIA) in 1999 to oversee the arbitration process. The degree to which this office is actually independent has been questioned. KP's California operations were the target of four labor strikes in 2011 and 2012 — two (September 2011, January 2012) involved more than 20,000 nurses, mental health providers, and other professionals. The National Union of Healthcare Workers (NUHW) has accused Kaiser of deliberately stalling negotiations while profiting $2.1 billion in 2011 and paying its CEO George Halvorson $9 million annually. The workers were dissatisfied with proposed changes to pensions and other benefits. On November 11, 2014, up to 18,000 nurses went on strike at KP hospitals in Northern California over Ebola safeguards and patient-care standards during union contract talks. 21 hospitals and 35 clinics in the San Francisco Bay Area were affected. In the fall of 2018, Kaiser Permanente and the Alliance of Health Care Unions reached a Tentative Agreement on a national, 3-year collective bargaining agreement that covers nearly 48,000 unionized Kaiser Permanente health care workers in 22 union locals. The negotiations, which began in May, were among the largest private-sector contract talks in the United States this year. The deputy director and commissioners of the Federal Mediation and Conciliation Service attended the sessions. This agreement went far beyond the traditional contract issues of wages and benefits to include provisions to strengthen the groundbreaking labor-management partnership between Kaiser Permanente and the Alliance, at the senior leadership level as well as the front-line level. This includes 3,600 unit-based teams — jointly led by pairs of managers and union-represented employees — that are delivering significant improvements in the areas of quality, affordability, service and work environment on behalf of Kaiser Permanente members and patients. Jamie Court, president of the Foundation for Taxpayer and Consumer Rights has said that Kaiser's retained profits are evidence that Kaiser policies are overpriced and that health insurance regulation is needed. Kaiser has been criticized by activists and state regulators for the size of its cash reserves. As of 2015, it had $21.7 billion in cash reserves, which was about 1,600% the amount required by California state regulations. Its reserves had been a target of advertising by Consumer Watchdog supporting Proposition 45 in California's 2014 elections. At the end of 2010 Kaiser held $666 million in reserves, which was about 1,300% of the minimum required under Colorado state law. Those funds were in Kaiser's risk-based capital account, held to pay for disasters or major projects. In 2008, the Colorado regulator required Kaiser to spend down its reserves; after negotiations Kaiser agreed to spend $155 million of its reserves giving credits to its clients and building clinics in underserved parts of the state. Heather O'Rourke (1975–1988) – child actress who became ill in 1987 and was misdiagnosed by doctors of Kaiser Permanente Hospital. She died on February 1, 1988 and a lawsuit followed shortly. ^ a b c "Kaiser Permanente 2018 Annual Report". Kaiser Permanente. Retrieved February 9, 2019. ^ a b "Kaiser Permanente At a Glance". Kaiser Permanente. Retrieved December 8, 2018. ^ Finz, Stacy (October 4, 2012). "Kaiser CEO George Halvorson to retire". San Francisco Chronicle. sfgate.com. Retrieved January 22, 2014. ^ Terhune, Chad (November 6, 2012). "Kaiser promotes Tyson to be CEO, chairman". Los Angeles Times. LAtimes.com. Retrieved January 22, 2014. ^ "THE KING OF THE H.M.O. MOUNTAIN". The New York Times. July 31, 1983. ^ "Fast Facts about Kaiser Permanente". Kaiser Permanente. November 22, 2013. Retrieved January 22, 2014. ^ Crosson, MD, Francis J. (Fall 1997). "A New Moment in the History of Kaiser Permanente" (PDF). Permanente Journal. 1 (2). Kaiser Permanente. Retrieved January 22, 2014. ^ "About Us". Kaiser Permanente Ventures. Archived from the original on January 29, 2014. Retrieved January 22, 2014. ^ Hendricks, Rickey (1993). A Model for National Health Care: The History of Kaiser Permanente. New Brunswick, NJ: Rutgers University Press. pp. 13–17. ISBN 978-0813519296. ^ a b de Kruij, Paul (1943). "Tomorrow's Health Plan -- Today!". Reader's Digest. The Reader's Digest Association. 42 (253): 61–64. ^ a b "More About the Kaiser Family Foundation". kff.org. Retrieved June 17, 2015. ^ Olmos, David (April 3, 1997). "Kaiser Is Facing Threat of a Shutdown in Texas". Los Angeles Times. LAtimes.com. Retrieved January 22, 2014. ^ Freudenheim, David (June 19, 1999). "Kaiser Permanente Is Shutting Down Its H.M.O. In The Northeast". The New York Times. NYTimes.com. Retrieved January 22, 2014. ^ Magaw, Timothy (September 4, 2013). "Kaiser Permanente's Ohio operations to be renamed HealthSpan". Crain's Cleveland Business. crainscleveland.com. Retrieved January 22, 2014. ^ Rauber, Chris (August 12, 2009). "More details on Kaiser Permanente job cuts, 650 to come in SoCal". San Francisco Business Times. Retrieved January 22, 2014. ^ Monegain, Bernie (March 29, 2010). "Kaiser KP HealthConnect rollout done". Healthcare IT News. healthcareitnews.com. Retrieved January 22, 2014. ^ a b Feachem, Richard G.A. ; Sekhri, Neelam K.; White, Karen L. (January 19, 2002). "Getting more for their dollar: a comparison of the NHS with California's Kaiser Permanente". British Medical Journal. 324 (330): 135–143. doi:10.1136/bmj.324.7330.135. PMC 64512. PMID 11799029. ^ "NHS 'worse value than US provider'". BBC News. BBC.co.uk. January 17, 2002. Retrieved January 22, 2014. ^ Talbot-Smith, Alison; Gnani, Shamini; Pollock, Allyson M; Pereira Gray, Denis (2004). "Questioning the claims from Kaiser". The British Journal of General Practice. 54 (503): 415–21, discussion 422. ISSN 0960-1643. PMC 1266198. PMID 15186560. ^ "HMO Quality Ratings Summary 2013 Edition". California Office of the Patient Advocate. Retrieved January 22, 2014. ^ Feachem RG, Sekhri NK, White KL (January 2002). "Getting more for their dollar: a comparison of the NHS with California's Kaiser Permanente". 324: 135–41. doi:10.1136/bmj.324.7330.135. PMC 64512. PMID 11799029. ^ "The health of nations". The Economist. Economist.com. July 15, 2004. Retrieved January 22, 2014. ^ Nicol, Jake. "A Flawed Model for Care". www.eastbayexpress.com. Retrieved March 22, 2015. ^ a b Jaffe, Melissa; Block (November 16, 2006). "Kaiser Faces Charges for Dumping Homeless Patient". All Things Considered. NPR. Retrieved January 23, 2014. ^ "Archives — Patient Dumping 2002-2007". HHS Office of Inspector General. Retrieved January 23, 2014. ^ Marquez, Miguel (March 24, 2006). "Trend: 'Dumping' Homeless on L.A.'s Skid Row". ABC News. Retrieved January 23, 2014. ^ Ornstein, Charles; Weber, Tracy (May 3, 2006). "Kaiser Put Kidney Patients at Risk". Los Angeles Times. LATimes.com. Retrieved January 23, 2014. ^ Colliver, Victoria (August 10, 2006). "Record Kaiser fine expected". San Francisco Chronicle. SFgate.com. Retrieved January 23, 2014. ^ "Agency ignored organ transplant problems". NBC News. Associated Press. October 22, 2006. Retrieved January 23, 2014. ^ "About the Division of Research". Kaiser Permanente. Retrieved January 22, 2014. ^ "Kaiser Permanente (KP) Research Bank". National Institute on Aging, US Department of Health & Human Services. Retrieved November 8, 2018. ^ "For Researchers". Kaiser Permanente. Retrieved November 8, 2018. ^ "Frequently Asked Questions". Kaiser Permanente. Retrieved November 8, 2018. ^ Rauber, Chris (February 20, 1998). "Kaiser fires back in arbitration suit". San Francisco Business Times. Retrieved January 22, 2014. ^ "Placebo Kaiser Arbitration Bill Killed In Senate Committee" (Press release). The Foundation for Taxpayer & Consumer Rights. April 26, 2000. Retrieved January 22, 2014. ^ ""Independent" Administrator Of Kaiser Arbitration System Is Rep For Corporate Lobby" (Press release). The Foundation for Taxpayer & Consumer Rights. January 8, 2003. Retrieved January 22, 2014. ^ Hay, Jeremy (January 31, 2012). "Two Kaiser unions strike in Santa Rosa, Northern California". The Press Democrat. pressdemocrat.com. Retrieved January 23, 2014. ^ "Kaiser workers on strike". Roseville Press-Tribune. thepresstribune.com. January 31, 2012. Retrieved January 23, 2014. ^ "Kaiser Nurses Holding 2-Day Strike Over Staffing Levels, Ebola Protections". NBC Bay Area. Wikimedia Commons has media related to Kaiser Permanente.